“this [carbon dioxide] very clearly is a problem, and, perhaps most particularly, is one that can seize the imagination of persons normally indifferent tp projects of apocalyptic change”. 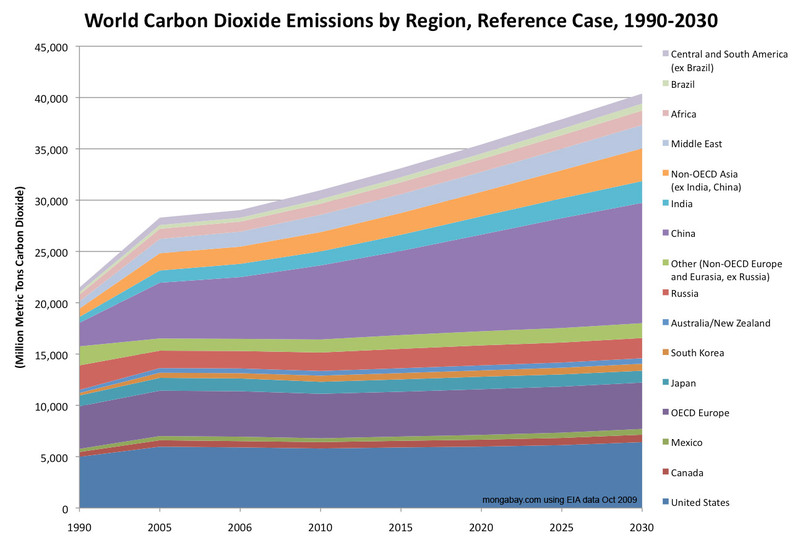 “It is now pretty clearly agreed that the CO² content will rise 25% by 2000. This could increase the average temperature near the earth’s surface by 7 degrees Fahrenheit. This in turn could raise the level of the sea by 10 feet. Goodbye New York. Goodbye Washington, for that matter. We have no data on Seattle“. This note was written 41 years, 10 months ago. What has happened since? Stanley, great posting, but the link appears not to be working. Could you check it. I repaired the link manually, and it does take me to the PDF concerned. What has happened since?…. a rapid increase in emission of such gases….very sad…….is it going to stop or what?…..hard to say! China, Vietnam, and India desired power and started creating Coal based power plants to the tune of a new one every few weeks, and are unregulated by any EPA type of environmental watchdog to determine even how much CO2 they are emitting. They are adding that 25% CO2 to the atmosphere almost exclusively. Not the mills and plants being shut down all across the US. I suggest the UK stand up and take leadership, and say that until CHINA does something about what they are emitting to our atmosphere, that all UK businesses and foreign entitys, cease and desist to do business with China in any function. Including “Beyond” Petroleum. This sort of “leadership” is the type of action that would make the world take the UK seriously and not just appear to be sniping.